As usual I failed to leave a comment on your additional accompaniments to the lovey Shelley’s word pictures. 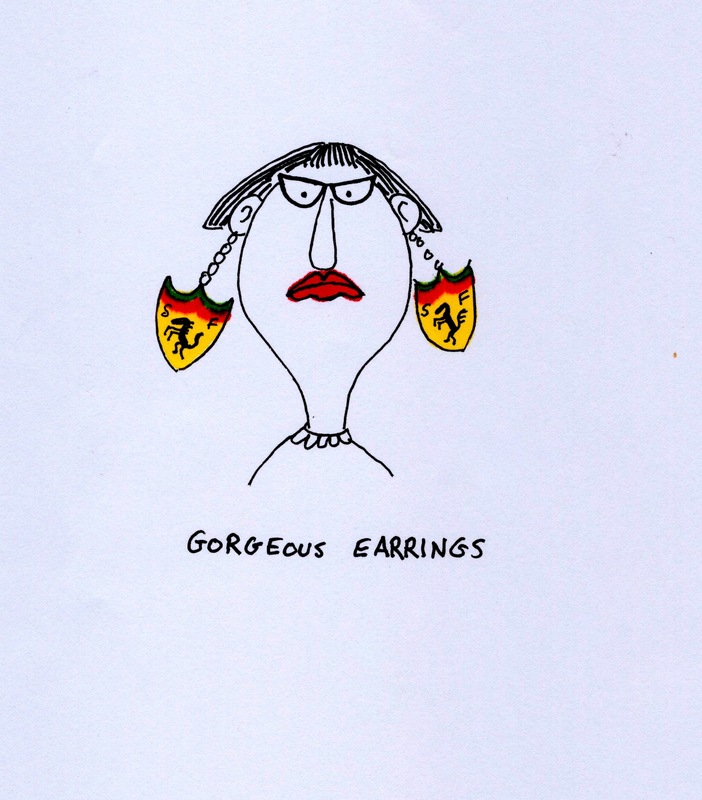 I did indeed admire the earrings and went as far to think if they were real you could make a killing gussying up the ladies to match their vehicles ……..
Good idea. I could match the price tags of the earnings to the price tags of the cars. What are those things? Rampant horses? Or dancing T-Rexes? Ah, the mythical Ferrari, that rare and wondrous creature! Isn’t there some story about Ferraris and virgins? Good grief, those poor girls were probably hoping this music vid got buried in some forgotten vault. Boy, did that bring up some memories.